Ibiza is known for that very special and unique vibe. This atmosphere full of deep emotions mixed withwild energy, salty air and hot summer nights. This is what we want to give to you and what we tried topresent right from the start of our great ibiza adventure more than 15 years ago! All led by the bigmastermind mister Sven Väth who started back then on the white island with his vision and made itcome true more and more year by year. Looking back at 15 editions of his mix-cd-series The SoundOf The () Season we have to state that these mixes are acoustic documents for contemporarywitnesses, the recored soundtracks of our lifes on the island for all these great and unforgettablesummer seasons!However Sven also called the right artists and friends to his side to help him with that project. Peoplewho understood what he had and still has in mind and what kind of creative input is needed for all this.Artists who identify themselves with the concept of love and music love for the music and of coursemusic full of love all combined and merged with a large portion of hedonism and artistic energy tocreate the perfect setting to celebrate all those countless memorable sunrises.For this season we asked again two artists of our line-up to do us a favor and create a mix that shouldreflect this special ibiza feeling. A mix that puts us in the right mood for what will come over the nextcouple of months. 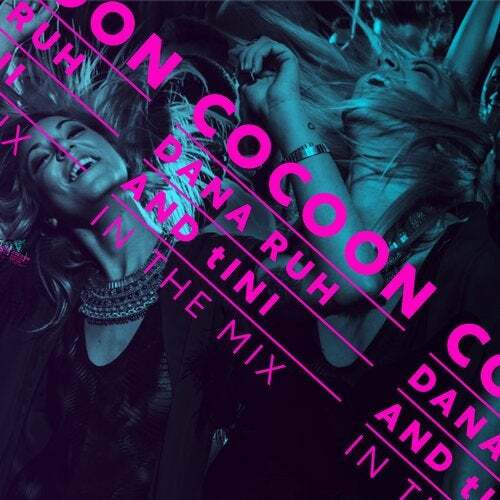 This year we are proud to present two mixes by Dana Ruh and tINI who hit the nailon the head with their selections! Their mixes turned out to be super deep and almost soulful andfeature artists like Persuader, Nina Soul, Third Wave Trax and Aruba (tINI-Mix) or Osunlade, DJPierre, Agnes and Move D (Dana Ruh Mix) just to name a few. Two amazing mixes that create thisspecial emotional and unique atmosphere we want to spread with cocoon ibiza. This is the sound forour sundowns (and sunrises), for all those hot evenings and the perfect soundtrack for the beach onthe day after. Two musical postcards you can only send from Ibiza. Turn the music on, forget the greysky of the big cities around the world and beam yourself into the vibe of the magic island ice coldSan Miguel and the view of the ocean, Ibiza, we cant wait to arrive!